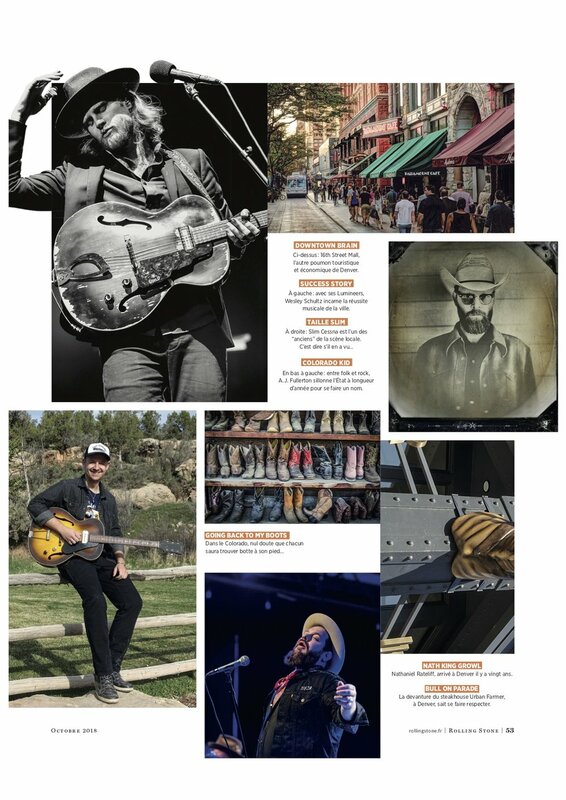 Thanks to my friends at French Rolling Stone Magazine, for featuring me in the October 2018 issue next to such names as Nathaniel Rateliff, Slim Cessna, and The Lumineers. 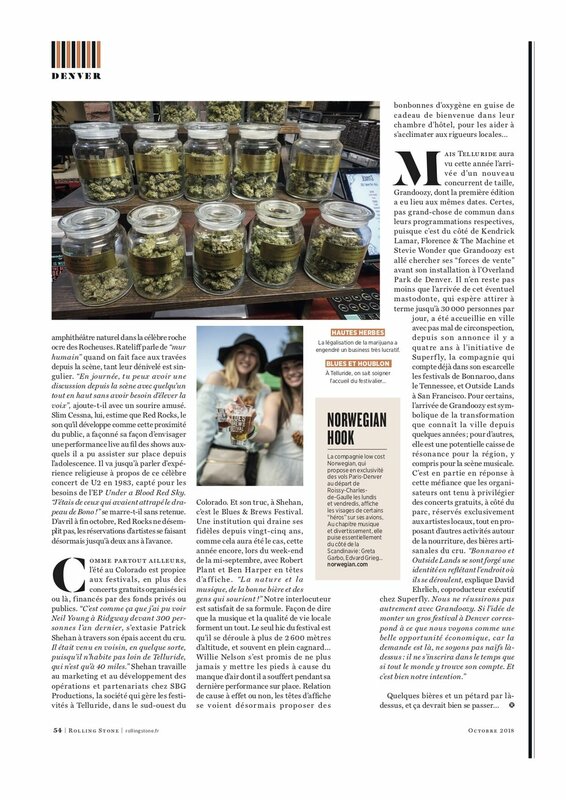 The article focuses on the Colorado music scene, and mentions one of my favorite festivals, Telluride Blues & Brews. Very excited to announce my artist endorsement with Cloverlick Banjos. 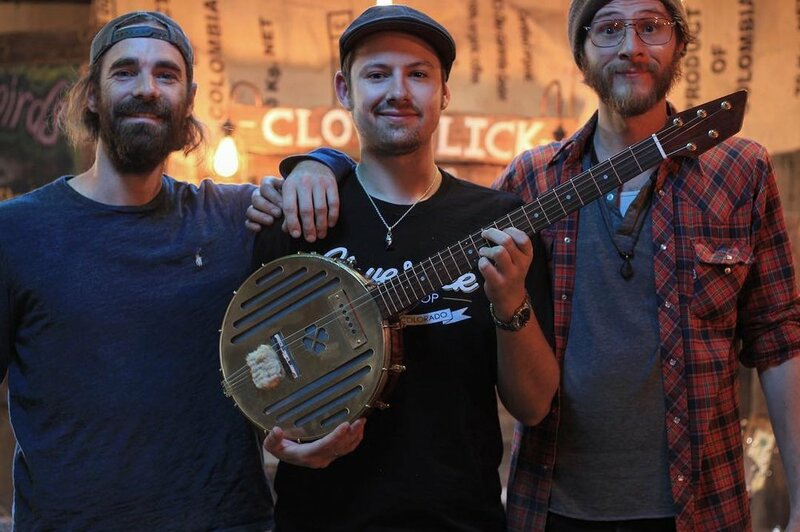 Cloverlick Banjos are a high end banjo manufacture out of Fort Collins, CO. All Cloverlick Banjos are handmade one-of-a-kind pieces of art made in the USA. The “Fullertone” Banjo was a collaborative experiment between myself, and Mark “Rooster” Austin head luthier at Cloverlick. The idea was to build an experimental 5 String banjo tuned to GDGBE. 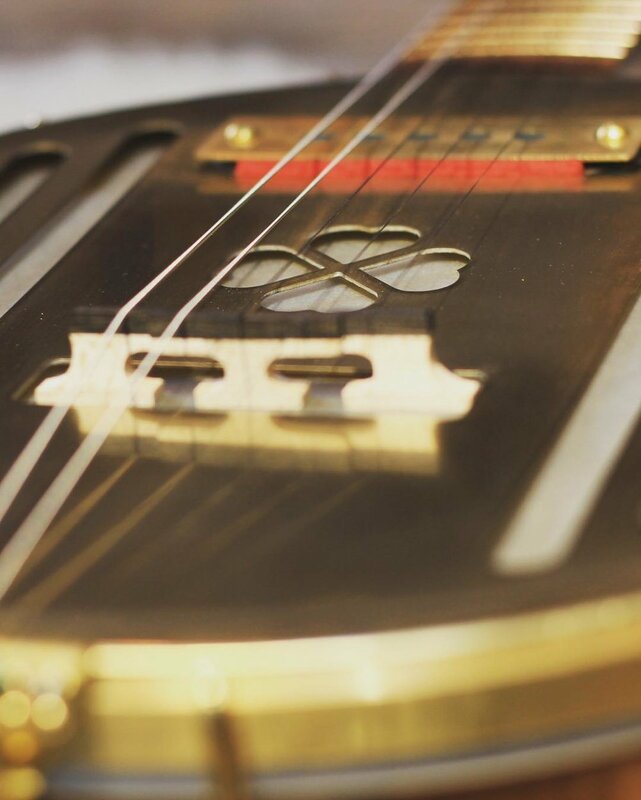 The “Fullertone” forgoes standard acoustic banjo pickups, and instead has a Tiesco Gold Foil Pickup built into the brass cover plate. As of June 2018 I’m excited to announce my collaborative endorsement with Delaney Guitars. 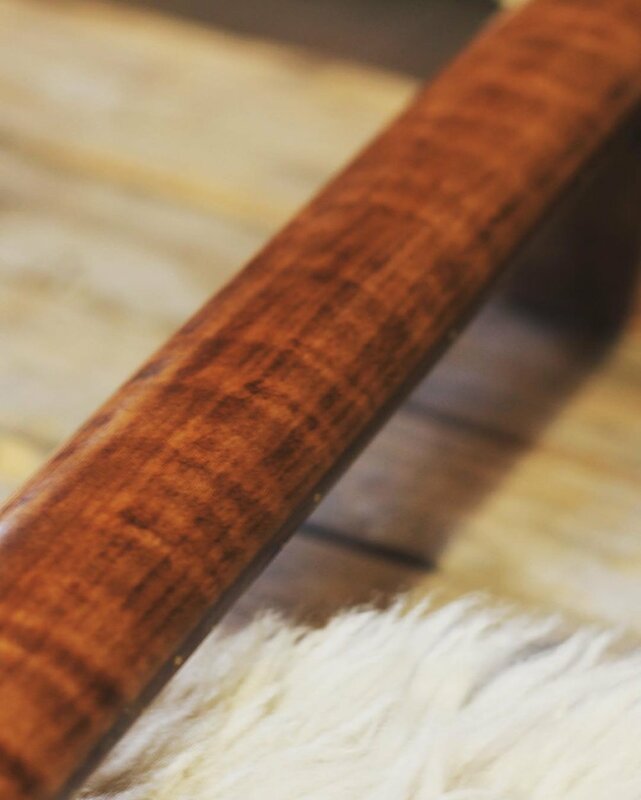 Delaney Guitars are are handmade in Bastrop, Texas by Michael Delaney & his crew. We’ve worked hard over the past few months designing all the features for my “A.J. Fullerton” signature model Delaney. A.J. 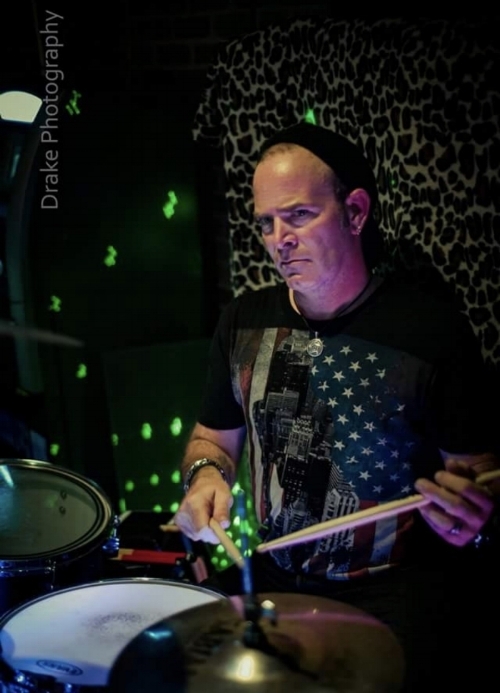 Fullerton will be bringing the full band up to Bohemian Nights - NewWestFest this fall. Catch his set August 10th, 2018 at 6:35pm on The Library Park Stage in downtown Fort Collins, CO. Released Aug. 24th, 2017, Kalamath has been garnering wide attention. 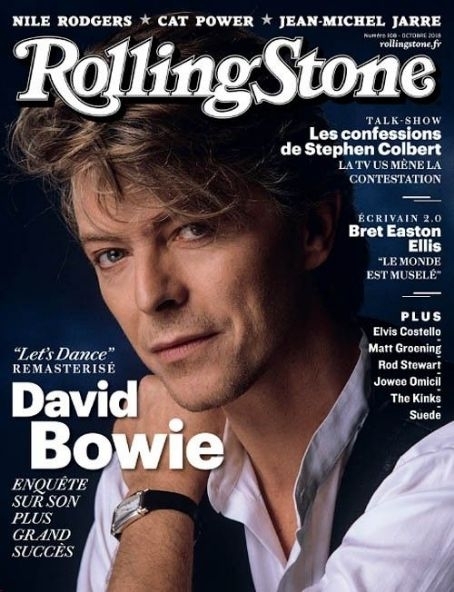 In the months following it's release, the album has recieved stellar reviews from such sources as The Marquee Magazine, The BolderBeat, and The Montrose Daily Press. 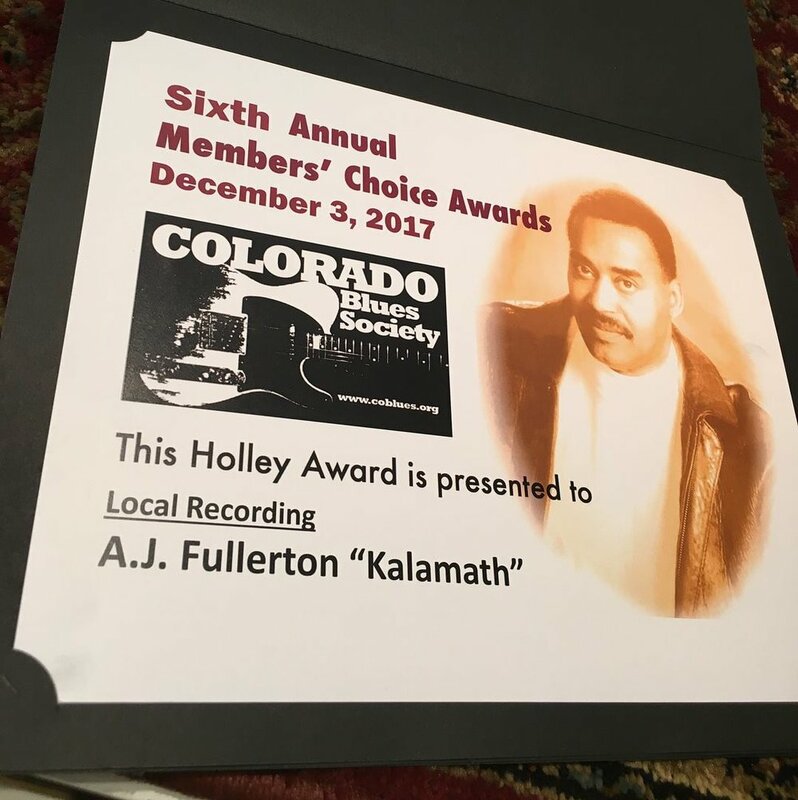 Kalamath also won the honor of being nominated the "Best Self Produced Album" of 2017 by The Colorado Blues Society, and will be entered in the 2018 International Blues Challenge. 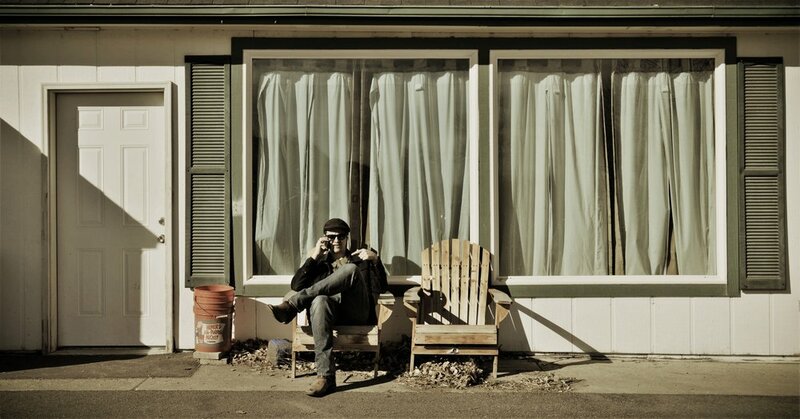 "...Kalamath puts forth a modern blues concept based on the Hill Country Blues of North Mississippi which draws on a century of tradition while striking out into new territory along the way. With aton of guests and a lyrics-forward approach to the blues, Kalamath is an impressive album by any means. The fact that it’s a debut from a 22-year-old makes it incredible"
"...a whirlwind of that finger-picking blues..."
"....Fullerton has recently exploded onto the state scene..."
"... his outstanding slide ability, steaming vocals, and his incredible finger-picking style, almost sounds as though he brought the blues back from the dead..."
"Overall, Kalamath will introduce you to a new world of blues..."
“Kalamath” is a sensational 10-song LP greatly inspired by blues, rock, folk and other sounds..."
A.J. 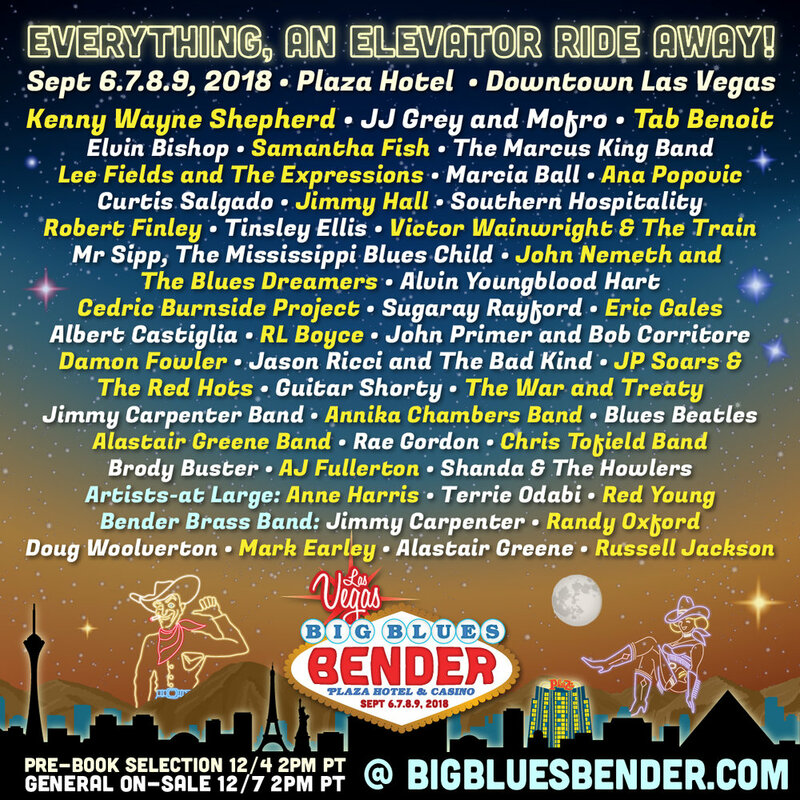 Fullerton was announced today as part of the lineup for the2017 Telluride Blues & Brews Festival. This will be A.J. 's 4th time performing at the festival in some facet. Every year the festival continues to prove itself to be one of the best festivals around. 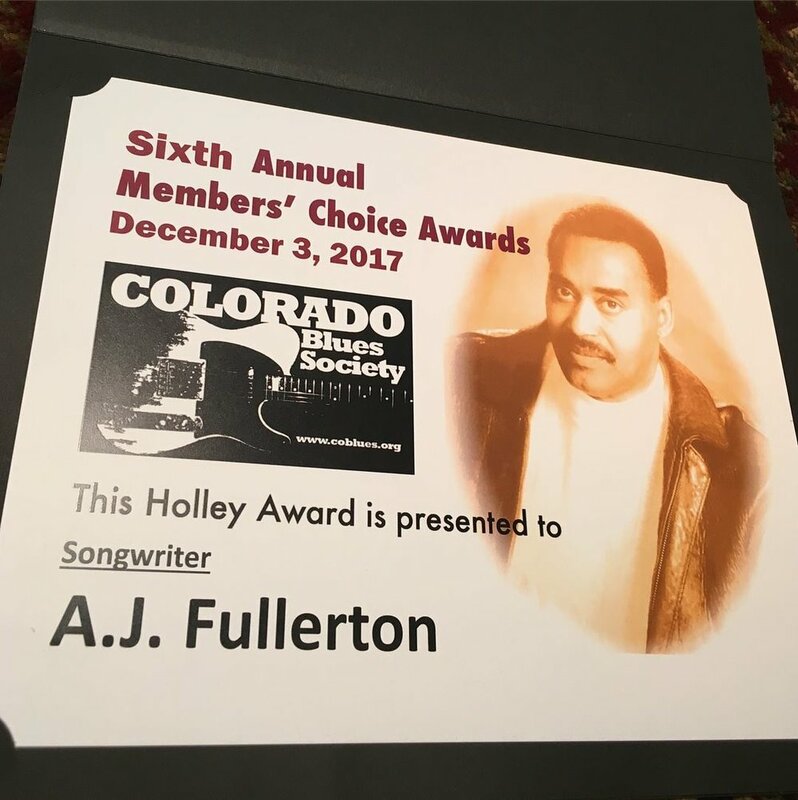 Sharing the stage with A.J. this fall will be two of his good friends Stud Ford & Nic Clark.